Tell us where to send your ebook. Are you ready to manage remote workers? According to Gallup, remote work is on the rise. Surely the needs of employees working from home differ from the employees at the office every day, so are you ready to meet the communication needs of this growing remote workforce? 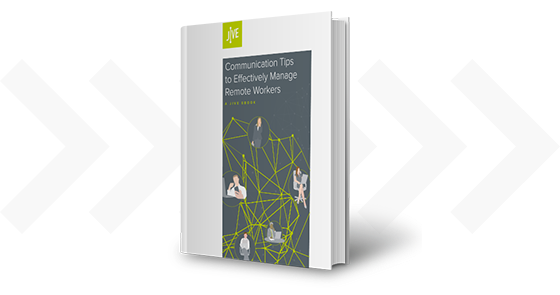 Here’s what we’ve found: answers for managers on the hows, whats, and whens of effective communication with their remote workers. Learn the basics to effectively communicate with your remote employees. Learn what best modes of communication: email, instant message/chat, video, phone, and web conferencing. Don’t use time as a measurement of success. Stress the importance of goals, expectations, deadlines, and progress. Learn when to regularly schedule three kinds of meetings: one-on-one, project meetings, and all hands meetings.